Daedalic Entertainment has announced that State of Mind will launch on PlayStation 4, Xbox One, Nintendo Switch and Steam for PC, Mac and Linux on 15th August, 2018. Developed in Unreal Engine, State of Mind is set in Berlin in 2048. Players take on the role of journalist Richard Nolan, as well as five additional playable characters. “State of Mind is a game about trans humanism and its all-in bet on the future,” said Martin Ganteföhr, the game’s creative lead. State of Mind combines realistic environments with low-poly characters to depict an unsettling view of the future. “State of Mind picks up the idea to make something whole from fragments,” added Ganteföhr. Players must use dexterity, deductions skills and research to reconstruct Richard’s past. 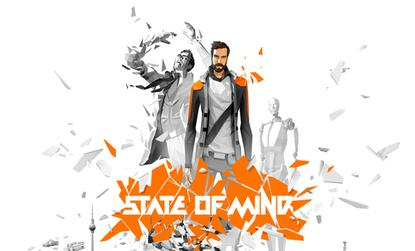 State of Mind is available to pre-order on Steam and GOG. The PC, Mac and Linux version is $29.99 USD and $39.99 USD for consoles.